Secret documents have just been uncovered that prove President Obama colluded with a hostile foreign government to win his presidential bid against John McCain! The day after Obama’s 2008 win, the Iranian government admitted that they had been in contact with the Obama campaign from the time he announced his candidacy through the election, and they were running a psychological operation against the American people to influence the election. “Despite repeated denials by the candidate’s advisers that any links existed” … “there were contacts before the election” said a top Iranian official. This is terrifying! I, like many of you, voted for Obama because I believed he was going to fix the mess that the president before him had made of this country. Now I’m afraid he stole my vote. It was all a lie. Had I known of this terrifying reality before the election, I would have voted for McCain, even though I am not of his party. I would have put my beloved country before my own party and voted for a Republican if that had meant America would be safer for it. But now, who knows how many national secrets Iran holds against America? Did Obama give him classified information he learned during Intelligence briefings? Could Iran having that information now put America in jeopardy of a nuclear attack? How will they use those secrets against us later? Iran is a hostile nation and wants nothing more than to destroy us. How could Obama have done this to us? How could he have gotten away with this? I shudder to think that our most classified and sensitive national security Intelligence may have been compromised to a foreign nation that holds nuclear weapons and is hostile to America. This is not good! The Obama campaign was in cahoots with Iran during the election campaign, secretly interfering in the American election to destroy John McCain’s chances of winning. Sources say these recent documents were actually known on day one of Obama’s presidency, but they are just being released because Obama is leaving office. These documents show that the Iranian government bragged about the extent of the contacts they had with the campaign of Barack Obama, and that many of the campaign’s staff still stay in touch with Iranian operatives. Could this explain how that nuclear deal was recently made with Iran and why the U.S. sent all that money? This was day one of President Barack Obama’s presidency and how this man came to Washington! As an American, I am deeply concerned about the future of this country and our national security. As Americans, we should all be furious that this information was ignored by the crooked media when it first broke in 2008. It doesn’t matter that 8 years have gone by, we need to demand accountability and investigate every possible consequence, and follow with every legal charge possible for this treasonous act against our democracy! As an American who loves this country, are you ready to demand accountability of this President? Do you want to see him pay for his treason? I do! I mean, I would, if it were true. But it’s not! This never happened in 2008. Barack Obama never colluded with a hostile enemy nation to influence his election to become President. But this did happen in 2016! This is EXACTLY what happened after President-elect Donald Trump won his election, and it happened with an enemy nation hostile to the United States holding nuclear weapons: Russia. The Russian government admitted it was indeed in contact with the Trump campaign during the time U.S. Intelligence agencies said the Russian government was interfering in the election and leaking thousands of documents from the Clinton campaign and the Democratic party. An act that undoubtedly impacted Hillary Clinton’s chances of winning against Donald Trump in the U.S. presidential campaign. The Russian government admitted that their contacts with the Trump campaign not only existed during the time of the campaign, but they continue. “Quite a few” members of the Trump campaign “have been staying in touch with Russian representatives” (Interfax News Agency). “Russia said it was in contact with President-elect Donald Trump’s team during the U.S. election campaign, despite repeated denials by the Republican candidate’s advisers …There were contacts: before the election” says Russian Deputy Foreign Minster Sergei Ryabkov. “We continue this work of course,” he said without giving details of what the contacts were” (Bloomberg). One of Donald Trump’s most prominent advisers with Intelligence related credentials is retired General Michael Flynn, who was recently forced from his job as Director of the Defense Intelligence Agency, and who last year dined with Russian President Putin. On August 19, 2016, Paul Manafort, one of Trump’s campaign managers, resigned amid growing speculation he was lobbying on behalf of a Ukranian president sympathetic to Putin. And then there is trusted Trump adviser and Russian immigrant, Boris Epshteyn, who promoted Russian investments at a 2013 conference entitled, Invest in Moscow!. “In Russia, where business and the state are so closely linked, business dealings automatically imply ties to people high up in government as well,” said Kathryn Stoner, an expert in U.S.-Russia relations at Stanford University. The transition of power is being unusually fast-tracked in Washington with President Obama meeting with Donald Trump only a day-and-a-half after the election, and Donald Trump is getting his first access to high-level American Intelligence information. The information he is getting is not the type of generic Intelligence he received in his briefings during the campaign. The President-elect is now receiving the President’s daily briefings with information like covert operations by the U.S. government and the U.S.military. Actions that would cause great harm if they were ever disclosed to the public or to other countries. Things like top secret military and surveillance operations, and closely-held proprietary data that the public will never know. Secrets that even the highest echelon in government will never know. Because Trump is President-elect, the U.S. Intelligence community must decide what they are going to tell him. What would you do? What would you tell him? Would you tell him anything about the American spies that we have working inside the Russian government or inside the Russian military? American pilots are engaged in military actions as part of the Syrian civil war. Russia sits on the other side of this conflict. Now, imagine we are holding powerful Intelligence that will help the U.S. outfight Russia in that conflict. Imagine the spy we placed deep inside the Russian government that has tipped us with incredible Intel on Russia’s war strategy, unbeknownst to the Russian government. Imagine how important that Intel is to national security, and to U.S. military strategy, and to the success of other activities we are undertaking in that region that could hinge entirely upon this one immensely important secret that we have gained from the Russian government, and they have no idea we have it. If you were the Director of the CIA, would you give president-elect Donald Trump that information knowing he has close ties with Putin? Would you give him the name of the spy that we have planted deep inside Putin’s inner circle? Would you tell him, hypothetically, what U.S. cyber command is about to do to Putin in retaliation for hacking into our government’s servers and influencing our election? If you were the U.S. intelligence community, would you trust the President-elect with highly classified Intelligence information knowing he has been and continues to be in contact with the Russian government? Among other things, the U.S. Intelligence community exists to provide information to one person: the President. They exist to pilfer enemy secrets in order to aid the President in making high-level decisions that only he can make. The most sensitive Intelligence information is compartmentalized and its access is limited to only those with a need to know. But, even the most highly compartmentalized information must be shared with the President. On October 17, 2016 the President-elect said he would plan to meet with Russian President Vladimir Putin after the election, even while President Obama remains in office. Can he be trusted not to divulge to Putin the detailed information we have on the Russian government hacking that influenced our election? When moderator Chris Wallace pressed Trump on whether he was disputing the assessment from U.S. Intelligence officials, he replied, “Yeah, I doubt it. I doubt it” (NBC News). Again, Russia admitted it was running a psychological operation against the American people to influence our election, and was in contact with the Trump campaign while they ran that operation against Hillary Clinton. If you are the Director of the CIA and National Intelligence, what would you tell him? Do you hand over to Donald Trump our most vulnerable secrets, our best sources, and our most sensitive information? Do you give him our most privileged details and Intelligence against Putin’s government? Would you trust that he will always put America’s national security interests above his own business interests? Would you trust him today? Next year? Ten years from now? Donald Trump colluded with Vladimir Putin, the President of a nation with a long history of hostilities against American interests, to influence our election with information stolen from U.S. servers. Should he get a pass? Russia has been brazen enough to brag about its role in successfully tampering with our government servers to influence our election, working closely with Donald Trump, who gave them comfort and aid to help elect him president. No doubt, Donald Trump has been and will continue to be used as an unwitting participant in Russia’s strategy against the U.S. In 2011 when Hillary Clinton was Secretary of State, Putin blamed her when mass protests accused him of rigging elections in Moscow. Fuming in anger at her meddling and intention to undermine his power, Putin vowed his revenge. What could he possibly want more that to help her lose an election? But, this is just the tip of what is to come. Putin’s strategy to emasculate America will continue to unfold over the course of the next 4 years. The genie has opened the door and let himself out of the bottle. Imagine if something like this had been disclosed about any other Presidential candidate or any other President-elect in history. Imagine if the scenario I painted above had really been disclosed or publicly admitted by the Iranian government, or any other hostile country including Russia, when Barack Obama had just won his first election and was headed into the White House. Imagine what would have happened had we learned of Iranian (or Russian) government links to the Obama campaign and to Obama in particular. Imagine the headlines if Obama had really been colluding with a hostile foreign power that intervened in our election to pick him as the next U.S. President! Imagine how this story would have catapulted through the political system in 2008 had this been Barack Obama and not Donald Trump in his race against Hillary Clinton! This is a REAL thing that has happened with the Trump campaign. Should he get a pass? Will Donald Trump be held accountable to the same extent you were hoping Barack Obama would be when you began reading this and thought he had betrayed this country? Are you enraged that you fell victim to psychological operations designed by a hostile nation in collusion with a President-elect to influence our democratic process? Are you enraged enough to put our nation above your party? Or do those sentiments only apply hypocritically in your hatred toward Barack Obama? Or, will hacking government servers and collusion with our enemies be our new normal during elections? As technology evolves, do you want to take the risk of Russia or Iran or North Korea or ISIS infiltrating our democracy and what happens right here in our land? One thing is for certain, they are all watching what is happening and what we do next! In the 240 years since the birth of this country we have never been here before. Disclaimer: This post was inspired by the November 10, 2016 airing of the Rachel Maddow Show on MSNBC. Some excerpts of the show appear above. Full credit is given to Rachel for her profoundly informative broadcast and inspiration for this blog post. Thank you Rachel! America is being gaslighted by Donald Trump. Since beginning his campaign last June, we have repeatedly reeled in shock at offensive comments that have come from his mouth. And when we pushed back in disgust, he met us with condescending denial and spinned the facts leaving us doubting our own perceptions of the events. These are common tactics of skillful gaslighters. What is gaslighting? Read on! Stage 1 – Disbelief. During this stage, the manipulator begins behaving in a shocking and egregious manner that sends the victim into disbelief. They will say insensitive, hurtful things that any sensible person would find offensive, and then create doubt in the victim’s mind of what really happened. This is often accompanied by righteous indignation where facts are intermixed with distortions to shame the victim and “prove” they are innocent. Stage 2 – Defense. In this stage, the target begins defending herself against the gaslighter’s manipulation. She will push back and demand an apology, telling him his behavior is inappropriate and he needs to stop. Her gut instinct tells her something is wrong with the situation and she must confront it. Unfortunately, he deflects her defenses with demeaning condemnation, telling her she’s too sensitive. Or as Donald Trump asserted, America is too politically correct and he “doesn’t have time” for that. Stage 3 – Depression. At this stage, the victim has surrendered to the manipulator’s tactics, feeling insecure and cut off from society. She has spent so much time fighting accusations of selfishness and sensitivity that she ends up believing the manipulator must be right, though deep inside, her gut still says something is wrong. This internal struggle between her gut and his manipulations leads her into a deep depression as she surrenders in defeat. Now, let us examine gaslighting further. Diminishing is the first tactic these adept manipulators use to plant doubt into their victim’s minds, such as when Trump said we took Megyn Kelly’s “blood” comment all wrong and he actually meant her ears or nose. Or when he insulted Carly Fiorna’s face then said he was talking about her persona. Diminishing is usually followed up with a blame-the-victim statement that is designed to deflect the bad behavior onto the victim and exonerate himself. In Megyn’s case, he blamed America for thinking things that only a “deviant” would have thought, that he was referring to her menstrual cycle. According to Dr. George Simon of Counseling Resource, narcissistic and aggressive personalities will do whatever it takes to secure and maintain a position of advantage over others. Gaslighting and other tactics are used to conceal these malevolent intentions while prompting their targets to accede to their desires. Deception is the name of this game, and narcissists are adept at causing people to doubt their gut instincts. When pushed back, they will escalate their arsenal of deceit to make their victim back down, in order for them to “win” the game, and that’s what it is to them. A game. Gaslighting is an effective tactic for those with narcissistic personality disorder. In addition to lack empathy, a sense of entitlement and grandiosity, and the need for excessive admiration, people with narcissistic personality disorder are also preoccupied with fantasies of unlimited power and brilliance and they will achieve this by using any and all means available. Americans have been walking around in collective disbelief ever since Trump called Mexicans rapists and murderers. And our allies are now trembling in fear of what may happen to them if he is actually elected. Will Muslims be banned? Will free speech and a free press be curtailed? Will he build a wall separating Mexico from its friendly northern neighbor? Will he drop a nuclear bomb? Will he direct American troops to commit war crimes? These are all things he has promised to do with reckless abandon. Donald Trump’s expertise in playing the gaslighting game cannot be disputed. He is undeniably a world class professional. Since June he has offended complete classes of Americans and ethnicities, and went as far as teetering on the fence of sanctioning genocides. He demeaned women in the most vile and reprehensible fashion, yet somehow escaped repercussions. He diminished a military hero’s gut-wrenching POW experience, then blew off our dislike of his behavior as a meaningless inconvenience. And in Naziesque fashion, he promised to look into rounding up people of a different faith to “get rid of them.” After every one of these shocking incidents he denied wrongdoing and deflected his behavior onto his ever-growing list of targets, never acknowledging his faults which is common with narcissists. Apologizing is not in his nature because his over-inflated ego tells him he is never wrong. We saw this in his recent attacks against the Gold Star family of a Muslim soldier killed defending this country. His defective personality prevents him from feeling empathy for others, and provokes him to constantly declare how great and big and smart he is. In his mind everything he does is bigger, better, faster, smarter, than anything humanity has ever seen. And these thoughts enable him to take his gaslighting skills to new heights; con America into voting for him so he can fulfill this sick and twisted fantasy of global admiration and power at the expense of the rest of us. Trump has successfully accomplished all 3 gaslighting stages during the primaries, outplaying 10 opponents to become the Republican party’s nominee. Now he’s actively reevaluating his tactics to see which ones will work for the general election. Some of the tactics he used against his primary opponents, such as name-calling, won’t work against Hillary, so he’ll try to find ones that will because gaslighting is all he knows. You may wonder why a rich man like Donald Trump needs to resort to gaslighting to get what he wants, and you’re not alone. The reason is simple: it works. In his business and personal affairs Trump has successfully utilized gaslighting manipulation to con people, threaten people, and scare people from getting in his way. And as long as it keeps working he will keep doing it. The election is now weeks away, and the stakes are at an all-time high, but there is still time to stop this skilful manipulator in his tracks. I believe there are enough intelligent and intuitive people on both sides of the aisle to put an end to his dangerous and destructive scheme. But, truth be told, he can only be stopped when, in his narcissistic mind, he is no longer getting the admiration, power, and attention his disorder needs to thrive. When his superego isn’t fed what it craves, he will find other ways to satisfy this need. The good news is we can expose him for what he is and when he finds his tactics are ineffective his spiraling descent will be swift and predictable. Knowledge is power and as Americans begin understanding the psychology behind Trump’s actions, they can reclaim this political process and send him a clear message that America is not for sale and cannot be won in a dirty deal by a mentally defective con artist. I’d like to say congratulations on winning the republican nomination. But, I wish you stayed in Massachusetts. You’re plan for America isn’t what we need, and would hurt us more than it would help. First, repealing Obama care and other health plans he’s put in place have helped families across America, including mine. I live in a middle class family, and two years ago my little sister; Kennedy was denied insurance because of her pre-existing condition. This was a huge emotional stress and financial burden on my entire family. Under Obama Care, insurance companies can no longer deny Kennedy and kids like her, the coverage they need and deserve. Because of Obama care my little sister was able to have the several surgeries she needed that helped save her life. Once the President was elected he put Obama Care into action, just like he promised and made it so that you could get insurance with pre-existing conditions. This has made a direct impact on my family. My family is with out a doubt better off now, than we were four years ago! It is to my understanding that you stated that you were going to repeal Obama Care, including the part I have mentioned, which will take away the insurance we have and need for my sister Kennedy. Why do you think she doesn’t deserve health care? Also, when you were interviewed on “Meet the Press”, you stated that you would NOT repeal this part of Obama Care, but then your campaign backpedalled and on the “Tonight show with Jay Leno”, you said that you WOULD repeal this. Also, you’re domestic plans (birth control, gay rights etc.) are horrible! Women should get to manage their own health, and if you wonder why you’re not appealing to many women voters, rethink your birth control and women’s’ rights plans. And people should be able to marry whom they want. We built this country so people could have freedom, and not have religious beliefs control them to that length. This country was in no way built on any religion, so we should not create laws that repress the American people in a religious way and hurt our most vulnerable. Join us on Twitter @1OfThe47Percent and lets get the word out. 47! There are 47 days left until election day. We are the 47% that Mitt Romney rejects. Lets show him that we are “thoughtful” voters by reelecting President Barack Obama! Let our voices be heard. If you haven’t done so yet, please register to VOTE today! We’ve all seen the video. We are all appalled. We now know what he truly thinks of us: leaches upon the teet of society. Lazy moochers, who believe we are “victims” who are “entitled to health care, to food, to housing, to you name it.” Yes, the man who is vying for our Presidency holds utter disdain and contempt for almost half of this country. But, beyond the crude insults and undeniable arrogance, there lies the truth about his economic plan for us. It was what he said after typecasting Obama supporters as lazy welfare moochers that caught my eye. He stated, “Forty seven percent of Americans pay no income tax. So our message of low taxes doesn’t connect.” He adds, “My job is not to worry about those people. I’ll never convince them they should take personal responsibility and care for their lives.” He then says he needs to concentrate on the “5 to 10 percent in the center,” or the “thoughtful” voters. In his own words, he says he’s not going to worry about half of his electorate because his message of lowering taxes doesn’t connect with us. Why would he say that? Why would he tell this room full of rich donors that his master plan of lowering taxes won’t connect with the 47%? Did he actually admit that his trickle-down plan won’t really help “those people” so he will just ignore them? My gosh, I think he did! He finally admitted, albeit unknowingly, what we have suspected all along. He finally admitted that his plan won’t really help the middle class like he tells us, but it will bring more wealth and prosperity to those at the highest rungs of society. He’s not going to worry about the middle because the middle doesn’t matter to him. We know who the 47% are. They are the working poor, who may not pay income taxes, but certainly pay payroll taxes, which means they hold jobs. They are the elderly who have retired from lifelong service and paid their dues and now collect Social Security. They are hard-working Americans who work low-paying jobs. They are the poorest of our poor, struggling to get back on their feet after layoffs and unemployment. They are the vulnerable. The ones who need the most help. They are the ones Mitt Romney has been trying to convince, in public at least, that they will prosper under his economic policies. They are the ones whose questions he has been avoiding regarding specific details of his policies. They are the distractions in his campaign. They are Republicans, and Democrats. They are the ones, in private, he classifies as parasites, and vows to not represent because “they will never learn…” They are the ones, under his plan, who will be paying more in taxes, and taking less home to their families. And, the ones he will ignore. Mitt Romney won’t worry about half of us because his plan doesn’t include half of us. And since we aren’t his affluent donors and billionaire buddies, he can only pretend to care about our needs. To most of us, $50,000 is more than one year’s salary, not the price we would pay for a plate of food. Why would he waste his time on the likes of us? To him, we are “Those People“, and hence, not worthy of his worry or attention. We are his Bob Cratchits. He is our Mr. Burns. We may not have money to buy his attention, but Mitt Romney forgets we have something more valuable that can’t be bought: OUR VOTE! On November 6 lets show Mitt Romney that we are “thoughtful” voters and reelect President Obama! Mitt Romney is desperate. And it shows. He thinks that half of us are lazy moochers, but, he wants to be our President. He insults us, and wants our vote. He doesn’t want to waste his time with us, yet he wants us to make him our leader. I’m confused. I thought the President’s job was to worry about ALL Americans, not just the ones who pay taxes, or are wealthy enough not to rely on Social Security, Medicare, or Food Stamps. When did this responsibility change? And, I’m also confused about who exactly his 47% of moochers are. While some Americans don’t pay federal income taxes, the majority of them do pay other taxes, like payroll taxes, and state taxes. These are college students, people who lost their jobs (like Bain employees), and families who take advantage of tax credits. The rest of the 47% are the elderly and the working poor. But, not all moochers are poor. In addition to the lower class, there were over 35,000 wealthy Americans who did not pay taxes in 2009. These were the top 3% of all earners with more than $200,000 in “expanded income” http://www.irs.gov/pub/irs-soi/12insprbulhignincome.pdf. These people zeroed out their tax bills using tax credits and loopholes. I wonder if Mitt Romney was referring to them as part of the 47%. Probably not! The fact that Mitt Romney is distancing himself from a vast majority of Americans tells me he is not qualified to be our President. One of the roles of the POTUS is Chief of State, which involves the responsibilities to represent the nation as a whole, and to be a symbol of national unity. Mitt Romney has already failed this test. He is not a symbol of national unity. How can he be when he has alienated himself from us, the Haves versus the Moochers? On November 6, 2012 we need to show Mitt Romney that he failed. He doesn’t deserve our votes. We will do ourselves a great disservice if we elect someone who wants to take “The People” out of government. We can’t let him turn government of the people, by the people, for the people to government of the people, by the rich, for the rich. The last few weeks of the Presidential elections have been entertaining, to say the least. But, up until recently my interest in this race had been rather indifferent. I’ve never been a fan of politics. I think its because campaigns are often dirty, and candidates will take the low road, making false promises they know they will never keep. And, once they are in office, I am never surprised with their mediocrity. But, I am a voter and I do believe in the principle of exercising this right. Although I had never classified myself as belonging to any particular party, I tend to identify with values of equality, fairness, and liberty and justice for all Americans, regardless of their economic status. What started out as just another run-of-the-mill, dirt slinging campaign, quickly caught my attention when Romney began airing ads using former President Clinton as a mouthpiece. I, as were many Americans, was drawn into this allegation they were making that President Obama wanted to strip the working requirement from welfare. Could it be so? Maybe its true. They are using President Clinton, Democrat, to make this point after all. Knowing how politics is played, I decided to research this further. I quickly learned that the Republican claim that President Obama wants to strip the welfare work requirement was a blatant LIE! And, that was just the beginning. When confronted about this, the Romney campaign stood by the lie and stated their campaign would not “be dictated by fact checkers.” Wait! What? They made up a lie. They are using President Clinton to try and convince people that the lie is true. They know its a lie. And, they stand by the lie. President Clinton has since told America that this claim is not true. But, they continue to tell the lie. Personally, I’m surprised that President Clinton hasn’t sued them for using his image to propagate this lie. This little incident perked up my ears. I wanted to know more. If Romney was unscrupulously standing by this lie, what else is he capable of? I was insulted that a candidate for President, who should be courting the country for votes, was instead insulting our intelligence with, not just half-truths and skewed facts, but blatant LIES. How stupid does this man think Americans are? Does he really think that we will never know the truth? Mitt Romney had taken dirty politics to the next level, and I took a personal interest in shedding light on him, even within the confines of my small social circle. If there is one thing I hate, it is a liar. Spot-lighting Romney was my new favorite spectator sport. The fact that Romney is a liar is no secret. And, he seems proud that his campaign is being dictated by so many lies. So many, many lies. In fact, Steve Benen chronicled Romney’s 533 lies in 30 weeks, and that was just from January through August (http://www.patheos.com/blogs/slacktivist/2012/08/29/mitt-romney-tells-533-lies-in-30-weeks-steve-benen-documents-them/). 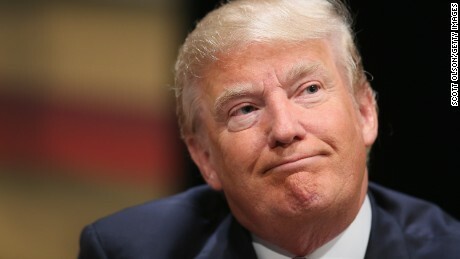 After reading that article I had to ask myself, “why does this guy have to lie so much?” And my first response was, “because he won’t win this if he tells the truth.” So rather than running on a platform where he tells America how great he is, and what he will do, and how he will do it, he lies, lies, and lies some more. Rather than getting the electorate excited about cheering for him because of how great he will be, he is reaching into the ugliest far right territory just to tear down his opponent. He has to make Obama look bad for him to look good. He aims to win by default, not by deserve. If you give a man enough rope he will eventually hang himself. And I think Romney did just that. In secret footage released to Mother Jones Romney lets us know what he really thinks. This video shows me, the average American, one of “those people,” that this man is not a leader for all, does not have all our interests at heart, and is only running for office for self-serving reasons. He is divisive. He is out of touch with mainstream USA. And he will sell us out in a New York minute if he is given the chance. I am part of that 47% he slammed. I am the working poor. I don’t get welfare, or Medicaid, or food stamps. But I used to. I raised 3 kids on welfare after leaving an abusive, drug addicted husband. Mitt Romney would have rather seen me get beat up every day. I put myself through college while receiving assistance so I could feed my children at the same time. Mitt Romney would say my kids weren’t entitled to eat. I have 2 kids who counted on student loans to pay for their college education, and a son who is actively serving the US Army. In Mitt Romney’s world they should have never been given those loans to attend college, and my son should never been given benefits after sacrificing life and limb for our freedoms. I also have elderly parents who rely on Social Security and Medicare. But I’m sure Mitt Romney would rather they just suffer through homelessness, hunger, and disease until death finally claims them. In Romney’s delusion the poor, sick, elderly, children, and veterans are all just a bunch of lazy moochers, who enjoy being taken care of by government. What an immoral, corrupt, and vicious man! Unlike Mitt Romney, I was not born with a silver spoon in my mouth. But, despite the challenges I have endured, I have NEVER seen myself as a VICTIM! I’m not a victim. My children are not victims. My parents are not victims. We are Americans. We are average Americans. We live in the greatest country on the planet. We have dreams. We want a better life for our children, and for our children’s children. We take responsibility for our lives, and we want a government that does, too. We are Americans and we count! Mitt Romney does not deserve to be my President! He hasn’t earned my vote, nor my respect.